Recorded at the end of last year at University of Newcastle, Sydney- KLP chats to Heath Johns ( BMG Australia) Anna Fitzgerald (TMRW Music) and Ali Fleming (ceiling agency) about publishing, marketing and how to stay authentic in the world of social media. 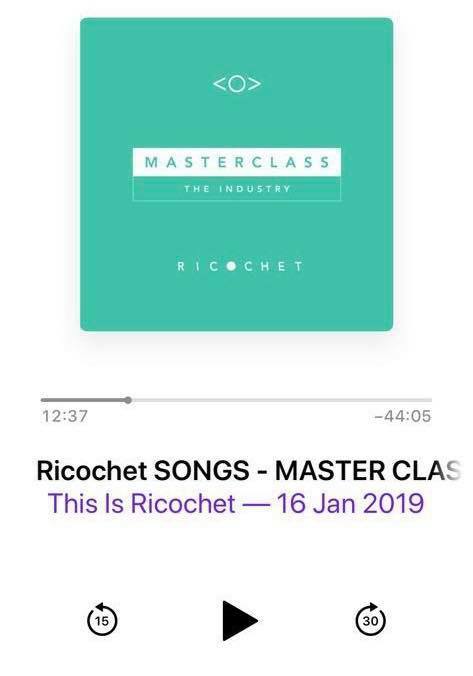 Listen to the Ricochet SONG WRITING Podcast now! Ricochet SONGS 2018 - behind the music.